Express your love for butterflies with this statement necklace! 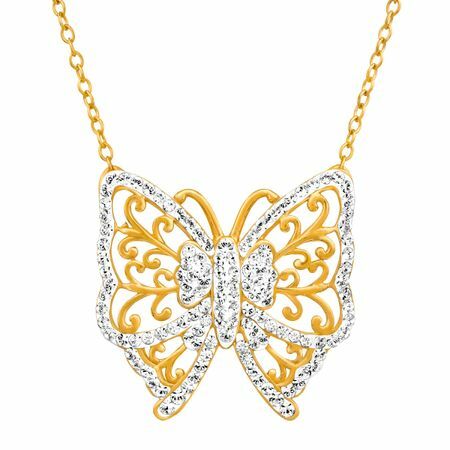 Necklace features a butterfly with unique wing details embellished with round-cut, white Swarovski crystals, all crafted in 18K yellow gold over sterling silver. An 18K yellow gold over sterling silver cable chain finishes the look. Piece measures 1 1/4 by 1 1/4 inches with a total length of 18 inches.